Brazil lost yesterday to The Netherlands in the World Cup. Since they are now eliminated, we'll take a look at them on Bite and Booze! Brazilian cuisine, like Brazil itself, varies greatly by region. The natural crops available in each region add to their singularity. Root vegetables such as cassava (locally known as mandioca, aipim, or macaxeira), yams, and peanuts, and fruits like açaí, cupuaçu, mango, papaya, guava, orange, passionfruit, pineapple, and hog plum are among the local ingredients used in cooking. Brazilianpine nuts called pinhão grow in a tree that is abundant in the southern part of Brazil, and are a popular national snack, as well as a lucrative export. Rice and beans are an extremely common dish, as are fish, beef and pork. Feijoada is a stew of beans with beef and pork, which is a typical Portuguese dish, also typical in Brazil, Angola and other former Portuguese colonies. In Brazil, feijoada is considered the national dish, which was brought to South America by the Portuguese, based in ancient Feijoada recipes from the Portuguese regions of Beira, Estremadura, and Trás-os-Montes. The name comes from feijão, Portuguese for "beans". 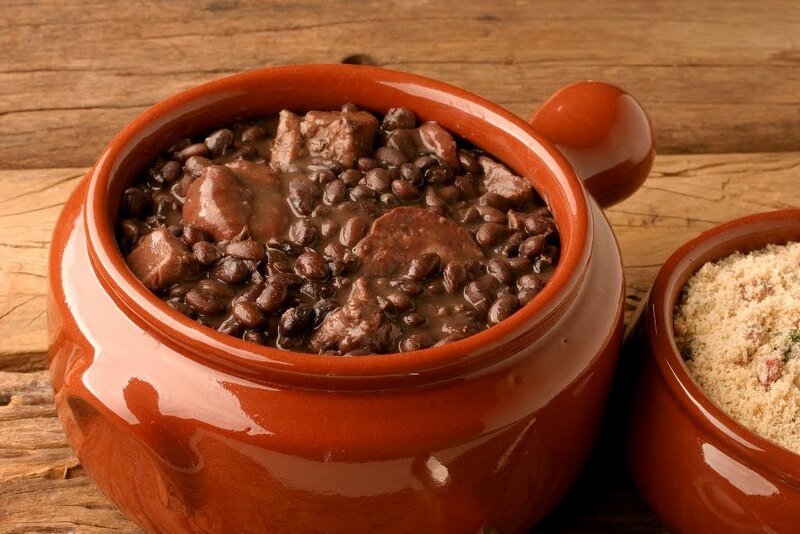 The Brazilian feijoada is prepared with black turtle beans, with a variety of salted pork and beef products, such as salted pork trimmings (ears, tail, feet), bacon, smoked pork ribs, at least two types of smoked sausage and jerked beef (loin and tongue). This stew is best prepared over slow fire in a thick clay pot. The final dish has the beans and meat pieces barely covered by a dark purplish-brown broth. The taste is strong, moderately salty but not spicy, dominated by the flavors of black bean and meat stew. 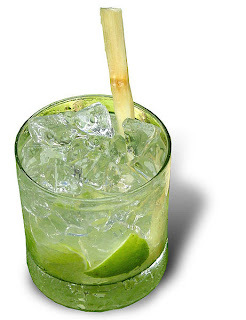 The Caipirinha is Brazil's national cocktail, made with cachaça, sugar, and lime. Cachaça is Brazil's most common distilled alcoholic beverage. While both rum and cachaça are made from sugarcane-derived products, most rum is made from molasses. Specifically with cachaça, the alcohol results from the fermentation of sugarcane juice that is afterwards distilled. For more info on Brazilian beer, check out the BR Beer Scene.